Kansas State football coach Bill Snyder is one of 10 finalists for the Liberty Mutual Coach of the Year Award. This is an honor voted on by fans, and the recipient receives $50,000 for a charity of his choice as well as $20,000 in scholarships for his university. In 20 seasons with Kansas State, Snyder has already been Coach of the Year several times before. He deserves it again this season. Beginning of season: The Wildcats were picked to finish eighth out of 10 teams in the league. The team had nine guys starting who had never started before. The team that got seven regular-season wins in 2010 had lost its NFL-caliber running back Daniel Thomas to graduation, and heir apparent Bryce Brown never materialized. Last but not least, it is well publicized that Kansas State is not a place that usually gets 4-star or 5-star recruits. Over the years, it has been a football team known for overachieving with a roster of 2-star and 3-star and junior college players. This year, it was the same way. End of regular season: The Wildcats (10-2) finished No. 8 in the BCS poll, barely missing out on a BCS bowl and landing in the Cotton Bowl. They won eight games by seven points or less. The only opponents they blew out were Kent State and the University of Kansas. In all the others, it went down to the wire. That kind of close-game, crunch-time survival has everything in the world to do with coaching. Persevering through a grind of a game, week after week, takes mental toughness, and Snyder has instilled that in his players. Being able to win games with little separation week after week also takes discipline, and Snyder stresses attention to detail. The coach refers to what the team needs to do as “being where you’re supposed to be when you’re supposed to be there,” and throughout the season the Wildcats have minimized penalties and turnovers. Bottom line: In reality, there have not been any Heisman contenders on this year’s team, and maybe not even any All-Americans. It’s possible that no names on this year’s roster are top-10 picks in the NFL draft. 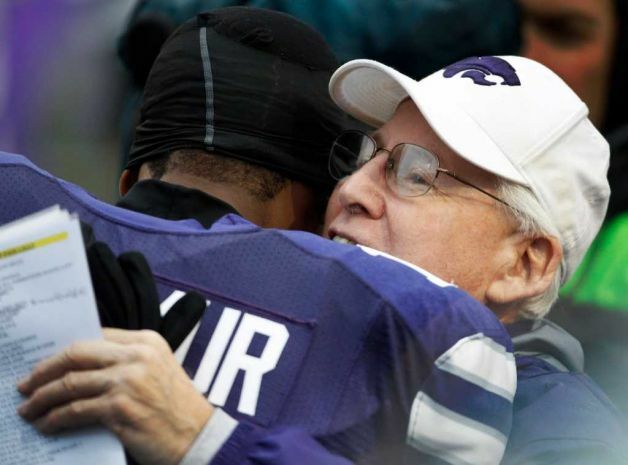 What’s beautiful about what Bill Snyder has done at Kansas State, though, is that none of that stuff has to matter. If kids buy into a program, work hard, do their best to support the success of their coaches and teammates, an awful lot can be accomplished. 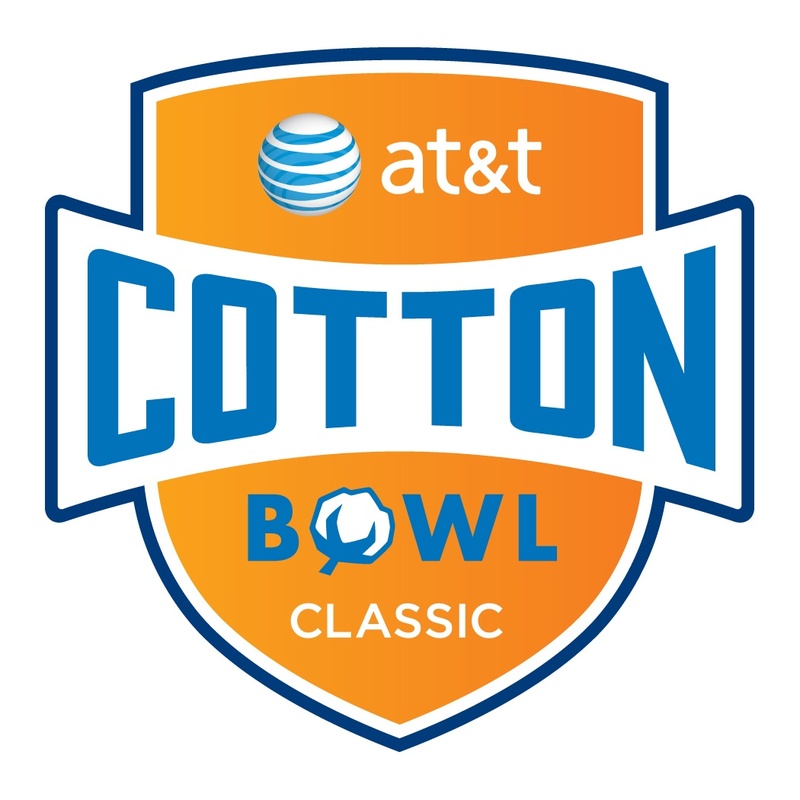 Kansas State accepts invitation to Cotton Bowl: Like or Dislike? The system snubbed the Wildcats as far as a BCS bowl. Without getting into analysis of the matchup too much just yet, here’s what we can like and dislike about this selection. We’ll start with the easy part. The BCS would not give the country a Big 12 – SEC matchup in the national championship game. Everyone talks about the offense of the Big 12 and the defense of the SEC. It’s a shame Oklahoma State will not take on LSU in the national championship game. From my perspective, how can you can say that the SEC is far and away the best conference when those teams do not play Big 12 teams? A game between teams from those two conferences would settle the arguments. Again, the championship game should fulfill that role, but it will not. The good news is that this Cotton Bowl can. Kansas State can represent the Big 12 against Arkansas representing the SEC. To me, that’s awfully exciting. Also, the game will be at the Cowboys’ stadium in Dallas. How awesome for the college players to get to compete in a place of that caliber! Additionally, it should be a pretty incredible experience for fans as well. The bowl game is sold out. 65,000 seats is the technical sell-out – that does not include suites or standing-area plazas. Last year there were around 80,000 at the Cotton Bowl game, said bowl chairman Tommy Bain, and they are expecting about 75,000 this year. As far as Kansas State is concerned, there are 2,500 student tickets that will go on sale – 500 for seats at $125 each, and 2,000 for standing room at $50 each. As follows, roughly 10 percent of the Kansas State student body would be able to attend this game on student tickets. All in all, this is a great bowl game. For a team that was supposed to finish 8th of 10 teams in its conference, Kansas State has proved that nothing is out of reach if you work hard. A 10-2 record and a berth in the Cotton Bowl is a huge, huge accomplishment. After five comeback victories this season and an 8-2 record despite being considered an underdog in almost every game, the Wildcats cannot in good conscience be counted out of today’s contest in Austin. In case that is not evidence enough, yesterday’s epic upset of Oklahoma State by Iowa State should make it very clear that anything can happen. At this point, Kansas State is accustomed to the underdog role, and while it might be a source of motivation going into games, more than anything it’s a sense of satisfaction after wins. With that said, this game is not a gimme by any stretch of the imagination. Despite the fan mentality of “WE OWN TEXAS” and the fact that the Wildcats have won the last three matchups, and the fact that the Longhorns are in a bit of a slide, Texas always has massive potential. It’s a deep team with oodles of tradition and a venerable, talented coach. This might be the second-best defense Kansas State has faced this season, second only to Oklahoma. The Longhorns rank 14th in the country in total defense. While I think quarterback Collin Klein will still run wild – like he did against Texas last season and like he has since then – the passing offense for Kansas State has to be active enough to distract the Longhorns and keep them honest. That passing offense has been steadily improving in the last several weeks and has to continue along that path tonight. Spotting the other team 14 points cannot be a strategy the Wildcats employ again this week, as they have the past three weeks. While coach Bill Snyder finds that statistic interesting, he said that good teams are consistent, and part of consistency is starting games well. Redshirt freshman center B.J. Finney remembers that starting fast gave Kansas State an advantage against Texas last season. Against both Oklahoma and Oklahoma State, the Wildcats overcame 14-point deficits only to come away with a loss. Saturday would not follow that pattern. In a scintillating four-overtime game, Kansas State defeated Texas A&M 53-50 in Bill Snyder Family Stadium. It snapped the team’s 2-game losing streak and kept the Aggies a win away from bowl eligibility. Collin Klein passed for 281 yards, rushed for 103 and scored six touchdowns in the game. Chris Harper had a huge game as well; his four catches went for 134 yards. Both Kansas State and Texas A&M started slowly, with only 105 yards of offense in the first quarter between the two teams. After the initial 15 minutes, the action got more interesting. Just a minute and a half into the second quarter, the Aggies scored on a 6-yard touchdown pass from Ryan Tannehill to Ryan Swope. Kansas State running back Angelo Pease fumbled on the Wildcats’ ensuing possession. That set up a short drive for the Aggies. In two minutes, the Wildcats went from being in a 0-0 tie to being down 14-0 for the third week in a row. The catalyst for Kansas State was a not-so-surprising interception by Nigel Malone – the seventh of the season for the cornerback. It took the Wildcats over five minutes, but they ground out the 33 yards between them and the end zone to get on the board with 3:45 to play in the first half. Collin Klein scored on a 2-yard run, and a few minutes later the next Kansas State drive culminated in a 3-yard touchdown run by him. Just like that, the Wildcats were tied with the Aggies again. The third quarter proceeded, like the first, in a fairly uninteresting manner. The tide began to turn when Texas A&M went for it on fourth down and could not convert. The Wildcats got the ball on their 43-yard line – and promptly false started. Several plays later, Klein threw an interception. A 57-yard interception return by cornerback Terrence Frederick positioned the Aggies for a quick 10-yard touchdown run to go up 21-14 on the Wildcats. Kansas State continued to battle. They moved up the field on the strength of a 46-yard pass from Klein to Chris Harper and a 19-yard run by Klein, the Wildcats tied it up at 21 within the first minute of the fourth quarter. On its next possession, though, the Wildcats fumbled for the second time in the game. Texas A&M recovered and had possession on the Wildcats’ 29-yard line. A short run by running back Cyrus Gray put the Aggies up 28-21 after quarterback Tannehill set up that play with a 20-yard scramble on the previous one. A field goal increased the Aggies’ lead to 10 with 6:38 to play. With a 53-yard touchdown pass by Harper and a 44-yard field goal by Anthony Cantele, the Wildcats knelt to send the game into overtime. From there, the teams traded touchdowns, then traded field goals. At the start of the third overtime, the Wildcats scored but failed to get the two-point conversion. The Aggies did likewise. On fourth-and-one in the fourth overtime, Texas A&M chose to kick a field goal rather than go for the touchdown. It would be the difference in the game. A penalty gave the Wildcats first-and-goal from the two-yard line, and that was that. Before Saturday, the Kansas State football program had only seen one overtime game. That one also came against Texas A&M, for the 1998 Big 12 Championship, but the Wildcats lost in double overtime. Fittingly, the Wildcats evened the score in the last game the teams will play against each other in the foreseeable future, since the Aggies are moving to the SEC. Even without that added significance, though, it was a colossal game. Today two Big 12 teams on 2-game losing streaks meet at Bill Snyder Family Stadium to try and get their seasons back on track. After seven straight wins, the Wildcats have been through the crucible with perhaps two of the more difficult back-to-back opponents in college football – Oklahoma and Oklahoma State. The first was an ugly blowout at home, the second was as close as they come in Stillwater. Texas A&M’s last two losses came against Oklahoma and Missouri – the latter in overtime. Athlon Sports picked the Wildcats (7-2) to finish 8th in the Big 12. It picked Texas A&M (5-4) to finish 2nd. When you look at these teams from a national perspective, both have numerically some of the absolute worst pass defenses in the country. Of course, the Aggies are one of those pass-happy teams that the Wildcats have faced so often recently. The Wildcats took huge strides toward a legitimate passing game last weekend, but they have quite a way to go. In addition, there have been rumors (none confirmed) that freshman wide receiver Tyler Lockett – who amassed 315 all-purpose yards for KSU against OSU – might be injured and therefore out for this game and possibly more. Both teams are much better equipped when it comes to rushing offense and rushing defense, though Kansas State probably has a slight edge in both. Quarterback Collin Klein will take it upon himself to make sure of that. Bottom line, the Wildcats have learned quite a bit in the past two weeks. Here’s what they need to do to win today. Keep OSU’s offense off the field. Cornerback Nigel Malone said the secondary is improving, even if high-octane offenses have obscured that development with their crazy numbers. Still, if time of possession is on the Wildcats’ side, it would be helpful – especially since Texas A&M has a more balanced offense than some of these other Big 12 teams. That said, with the way the Wildcats have struggled against the pass, the Aggies may pass more than usual. Hold onto the football. The Wildcats have been pretty good about limiting turnovers this season, but against Oklahoma State they had several. This cannot happen. It’s a simple, fundamental thing, but you cannot ignore it. Be tricky. Some of KSU’s biggest gains happened when the Wildcats ran misdirections for Lockett. I don’t know if the team has other players it is comfortable running that with or not, but it would definitely be a benefit to get the Aggies off balance by doing something unexpected. When I learned that the Kansas State/Oklahoma State game would be played the same time as LSU/Alabama, it disappointed me. In retrospect, though, everyone who watched the Wildcats and Cowboys clearly got the better end of the deal. It’s said that “close” only counts in horseshoes and hand grenades, but I think a game like that shows quite a bit about Kansas State. Looking over the stats, it’s clear to see the improvement of the Wildcats throughout the season and even just from last weekend to this weekend. Time of possession – As coach Bill Snyder always says, time of possession does not mean anything unless the team scores points. After Kansas State could not keep Oklahoma’s offense off the field last week, however, it was clear that the Wildcats had to stay on the field longer. You won’t believe me when I tell you, but in Stillwater, Kansas State held the ball for 40 minutes and 49 seconds. They had possession for more than two-thirds of the game. Even though the Wildcats couldn’t outgun the Cowboys, their mere possession made a big difference in the ball game. I think it goes without saying that every minute without Brandon Weeden and Justin Blackmon on the field counts. Offensive production – The Wildcats do not have much “star power.” Before last night, they were not thought to have much of a passing game or much of a running game, really. Against the No. 3 team in the country, however, Kansas State put up 276 rushing yards and 231 passing yards. Notice two aspects of this: 1) balance and 2) passing. Basically, the Wildcats are much more competent offensively than people want to give them credit for. Also, all the running Collin Klein does apparently makes people think he can’t throw. Obviously, that isn’t the case. Plus, we saw Snyder open up the playbook a little bit with a pair of misdirections that allowed Tyler Lockett to go for some major yardage. Now, the caveat here is that the Cowboys’ defense is not good – not numerically and not practically either. It gave up 45 points at home to a team that does not have nearly as crazy of an offense. Still, though, the Wildcats showed their potential with the ball, and it was promising. Defensive dilemma – It’s hard to put a finger on how good the Kansas State defense actually is. Obviously they forced multiple turnovers from a team that was No. 1 in the nation in turnover margin. Those were impressive, heads-up, detailed-oriented plays. With that said, though, there were lots of long passes that the Wildcats could not stop and quite a few missed tackles as well. Again, you credit much of that to the Cowboys because their offense is easily one of the most potent in the country. Certainly, just because a defense cannot stop the ultimate offense does not mean it is a bad defense. However, Oklahoma State exposed the same issues the team has been battling all season. Big 12 Bottom line – First of all, Kansas State is still better than people think. The guys played their hearts out and almost pulled out a huge upset on the road against the No. 3 team in the country after getting smashed 58-17 in their own house the previous weekend. Secondly, Oklahoma State is not as good as people think. (See the earlier comment about its defense.) They’ll probably still win the Big 12 because Oklahoma has now lost its starting running back, Dominique Whaley, and its future-NFLer receiver Ryan Broyles. All in all, I don’t think people should be shocked if the Wildcats win out from here. It may not happen, but I think it has to be acknowledged as a possibility. This game has many K-Staters a bit unnerved. It’s a reasonable worry, considering that the Sooners pummeled the Wildcats 58-17 in Manhattan on homecoming last week … and Oklahoma State is widely believed to be better than Oklahoma. However, I don’t think you can just count Kansas State out of this one. To start with, the loss to Oklahoma was just one loss. 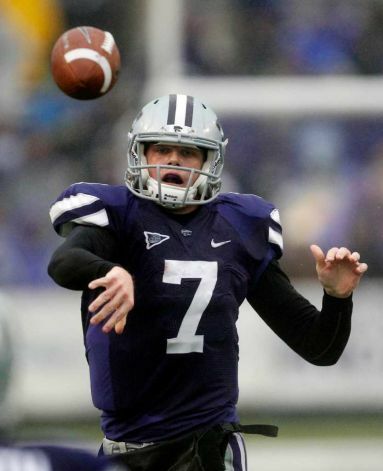 Kansas State is still a 7-1 team, and you don’t fall into seven wins. It just does not happen. The Wildcats have mastered the art of making due with what they have. Being disciplined, fundamentally sound and sticking to assignments sounds incredibly cliché and boring, but it is what this team does. In those first seven games, all those workmanlike, mundane, detail-oriented categories made up for any perceived lack of talent. Obviously you give credit to Oklahoma for the win, but in that game, the Wildcats made some of the mistakes they had not made earlier in the season. It’s entirely possible the Cowboys will force the same type of errors, but I would not be shocked to see a singularly focused team tonight. How about the leadership on this team? Between Collin Klein and Arthur Brown, I’m not sure you could ask for anyone better. Those guys inspire their teammates – and vice versa, they would certainly tell you. I have all the confidence in the world that those two, and many others who just are not in the spotlight as much, have helped get this entire team prepared to play tonight. Both Klein and Brown have tremendous toughness, and I think the Wildcats have taken on that persona as a whole. Think of all the comeback wins. Think of all the games this team was supposed to lose. Kansas State was picked to finish eighth in the league, and now it’s nationally ranked. It might not win against one of the top three teams in the country, one that boasts a record-breaking duo of quarterback and receiver who forewent the NFL so they could have their senior year together … but I would never bet on this team to lose, and that is everything to do with the people who are on it. Kansas State is hungry. Oklahoma State might be a little complacent. You know that last week the Cowboys’ coaches must have been saying, “Oh, %#$&. How are we going to keep the guys from looking past this team now?” as the Sooners steamrolled the Wildcats. The Cowboys have not yet tasted the nasty flavor of defeat, but Kansas State certainly has, and it wants to get rid of that sensation. Besides, Oklahoma rebounded well from a shocking home loss of its own. Why can’t Kansas State do likewise? Certainly, this one is much less probable. But hey, that has not stopped the Wildcats before. They were not supposed to beat Miami, Baylor, Missouri or Texas Tech either. You just never know. And really, that’s a beautiful thing.